An attractive dwarf Ledebouria forming dense clusters of many tiny bulbs which flower freely and make a handsome pot subject. This highly range restricted species is only known from one single location, since its initial discovery. This species is threatened in its natural habitat by encroachment and over utilization by humans. Deciduous, dwarf, bulbous plant, forming dense clusters of numerous individuals with very small bulbs. Leaves 3–6, lanceolate to elliptic, narrowed towards the base with a conspicuous petiole-like (stalk-like) leaf base, green to purplish flushed, usually unspotted (rare spotted individuals are known to occur), the upper surface of the leaf is adorned with broken longitudinal rows of minute papillae, the lower surface is plain green and often suffused with red or purple, produced in summer simultaneously with the flowers. Solitary flower spikes are produced per bulb usually in early spring and early summer (October to November in South Africa). The decumbent inflorescences hang outward from the leaves and are turned upward towards the apex, exposing the brightly coloured pink flowers with many florets (small flowers) at the distal end, in a bottle-brush-like fashion. Each individual floret is attached to the peduncle by a slender greenish pedicel (flower stalk). The individual florets are comprised of 6, strongly recurved tepals (petals), which are usually pink. The conspicuous purple stamens extend beyond the tepals, bearing small, pale yellow anthers at their tips. Ledebouria rupestris is very restricted in its extent of occurrence and is known from one isolated location, where it is highly threatened and at risk of extinction. The area is subjected to high pedestrian traffic volume, because it is a popular tourist attraction. Trampling, pollution and development of tourism infrastructure pose a threat to its existence, therefore, it is listed as Critically Endangered (CR) in the Red List of South African plants. The species is known only from one locality in the vicinity of the Mac-Mac Falls in Mpumalanga, South Africa. It grows amongst rocks and sparse vegetation in soil-filled pockets and on shallow soils, overlaying the black-reef quartzite rock, which dominates the habitat. This species was first named by F.Z. van der Merwe in 1941, as Scilla rupestris; subsequently J.P. Jessop included it under his broader concept of Ledebouria cooperii in his 1970 studies on the genus. It was finally elevated to species level by S. Venter in his 2008 synopsis of the genus. The genus Ledebouria is named in honour of the German-Estonian botanist Professor Carl Friedrich von Ledebour (1785–1851). 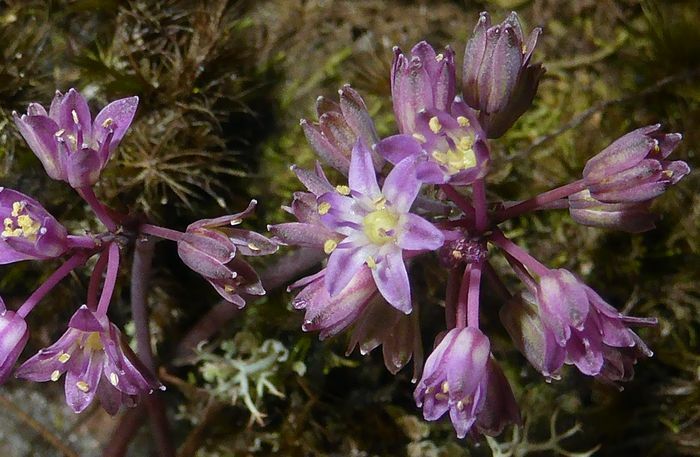 The specific name rupestris refers to a plant that grows amongst or near rocks, certainly in this case in reference to the abundant large outcrops of rocks, which characterize the habitat of the species. Although Van der Merwe did not specify this specific intention in his naming of the species. South Africa has 39 species of Ledebouria, distributed across Africa, India and Madagascar, with the centre of species diversity in the eastern parts of southern Africa. Ledebouria rupestris cannot be easily confused with any other Ledebouria species because of the characteristic papillate upper surface of the leaves, coupled with the narrowed petiole-like leaf bases. 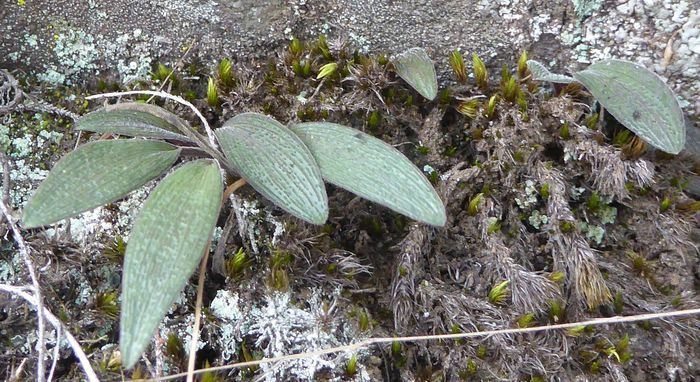 The dark olive-green and somewhat purple leaves and papillate leaf texture, cause the plants to closely resemble another abundant plant species (Cyanotis lapidosa), with which it co-occurs and shares the specific habitat niche. This close resemblance may afford the Ledebouria rupestris some degree of camouflage from predation by herbivores. Porcupines are known to dig out and eat the bulbs of several Ledebouria species. The flowers are brightly coloured, open and cup-shaped with their pollen openly presented. 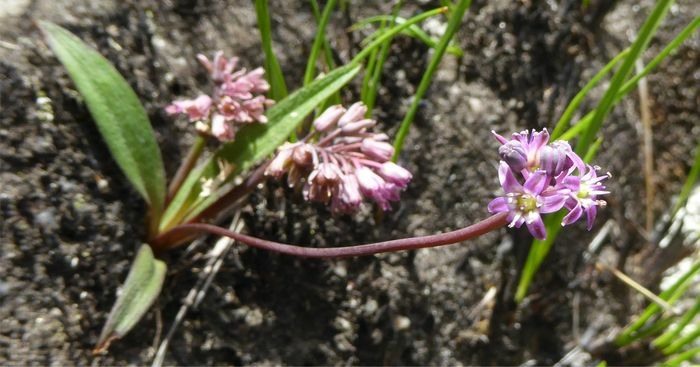 This habit in flowers usually suggests opportunistic pollination by most visiting insects. In the wild many different insects can be seen visiting the flowers, which are faintly sweetly scented, most notably bees, including honey bees. The inflorescences are spreading becoming flaccid with age; this may have something to do with optimizing or exposing the visibility of the flowers beyond the leaves, to attract pollinators. The seed is small, black and roundish. S. Venter (1993) suggested that Ledebouria seeds may be distributed by water wash, which is likely after soaking summer rains, which characterize the climate of the area where the species occurs. 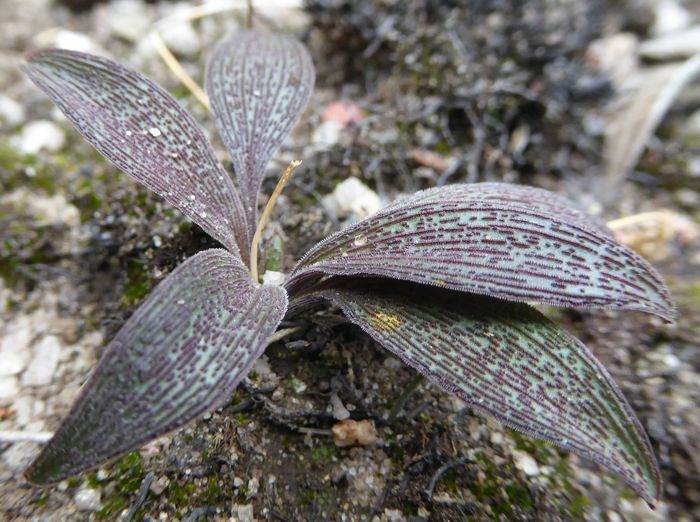 There are no specific references indicating that Ledebouria rupestris has any medicinal or cultural uses by humans. The Mac-Mac African hyacinth is not difficult to maintain in containers away from its natural range, and is best cultivated in containers because of its small size. It is best kept in full sun to well-lit dappled shade in a cool climate. The bulbs should be planted in a peat-rich, sandy, mineral soil, with small amounts of sifted kraal (cattle) manure or well-aged compost added. Watering should be done regularly and generously during the summer growing season. During the dry winter dormancy period, the pots should be moved out of the rain and placed in a dry, cool area, with good air movement. Pots should be almost completely dried out with only the occasional light watering, to maintain minimal soil humidity. The species can withstand very cold winter temperatures, but it is best to keep them quite dry during these periods. Watering can commence at the onset of warmer weather in spring (September to October in South Africa). Propagation from seed is the best method of producing new plants. Seed must be sown fresh (cannot be stored) in spring or summer, in pots or trays filled with the sifted potting mixture detailed above. Sow the seed on a firmly tamped surface and cover lightly with the same mixture approximately 2 mm deep. The seed trays should be kept in a well-lit warm position, and kept damp for between 2 to 3 weeks during germination. After emergence, the tiny seedlings are ideally retained in their natal container, until they are 1 or more years old. Because of their small adult size, many plants can be planted together in attractive display pots with other complimentary dwarf sedges and mosses. Plants may reach flowering size within the first to second year of germination. Lötter, M. & Von Staden, L. 2016. Ledebouria rupestris (Van der Merwe) S.Venter. National Assessment: Red List of South African plants version 2017.1. Accessed on 2018/06/09.